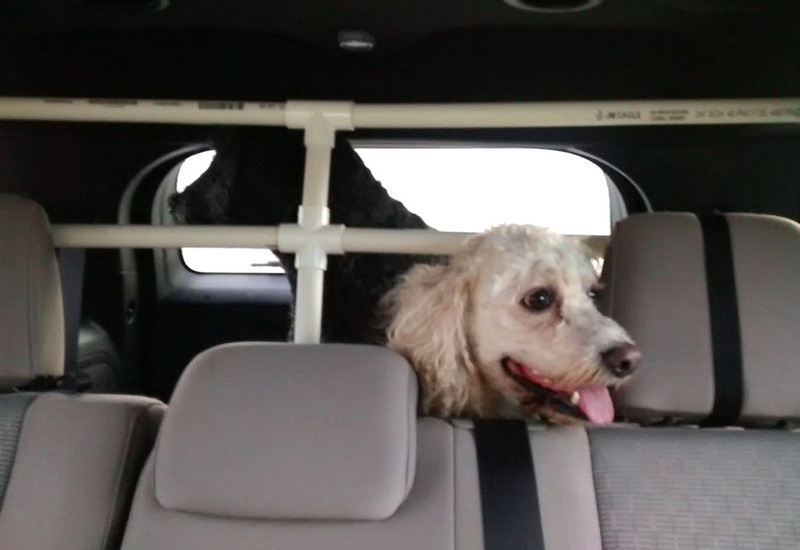 Keep your dogs safely contained in the back of the car! Measure the inside of your car. Cut PVC pipes to the lengths needed, then assemble the pipes with PVC connectors. Glue the parts of the barrier in place, then consider painting it. Cut pieces of nylon strapping, attach buckles to the straps, and use the straps to attach the barrier to the headrests.